Who is behind Shooting Down MH17?? | Think the Unthinkable Future. Who is behind Shooting Down MH17?? Here’s what we know so far. Evidence indicates that the plane was shot down by a surface-to-air missile that was launched from an area that is controlled by Russian-backed separatists inside of Ukraine. We also know that this is not the first time a plane has been shot down in eastern Ukraine. Over the last several weeks, Russian-backed separatists have shot down a Ukrainian transport plane and a Ukrainian helicopter, and they claimed responsibility for shooting down a Ukrainian fighter jet. Moreover, we know that these separatists have received a steady flow of support from Russia. This includes arms and training. It includes heavy weapons, and it includes anti-aircraft weapons. Here’s what must happen now. This was a global tragedy. An Asian airliner was destroyed in European skies, filled with citizens from many countries. So there has to be a credible international investigation into what happened. The U.N. Security Council has endorsed this investigation, and we will hold all its members — including Russia — to their word. In order to facilitate that investigation, Russia, pro-Russian separatists, and Ukraine must adhere to an immediate cease-fire. Evidence must not be tampered with. Investigators need to access the crash site. And the solemn task of returning those who were lost on board the plane to their loved ones needs to go forward immediately. I’m just wondering why Obama still stick to the framework of nation states, although any single party as a nation state can theoretically take advantage of this tragedy. That’s also the case for Russia, although Obama obviously implied her secret involvement in this incident. Of course, I never want to be a supporter of conspiracy theory. However, it’s worth contemplating who’s actually behind the whole scenes in Ukraine and really want to do. First of all, it’s nonsense to believe Putin has been motivated to destroy the former rebels in Ukraine (=ruling elites currently), as Henry Kissinger once pointed out. 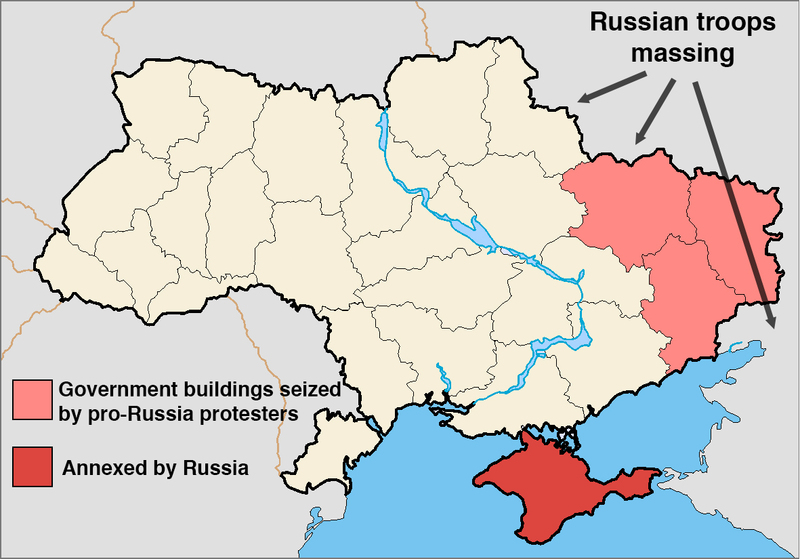 Of course, Russia has great interest in establishing a kind of autonomous entity in Eastern Ukraine. But how come does Putin want to give an order to shoot down a civil airplane of the third party by a Russian surface-to-air missile? That could ruin his own ambition to let the Russian come back to the first class of the world community. This option is theoretically excluded, I think. Secondly, the western powers including the United States could have accomplished a covert action against the Russian, but this option still remains a theoretical one, I suppose. To motivate the world community by a clandestine mean to blame Putin for his brutal maneuver can bring them a lot of advantages, which can be, however, easily found out by hits secret service equipped with high technologies. Last but not least, the current Ukrainian government can be shallow enough to do such a thing, which can be also easily uncovered by such an international investigation as Obama proposed. Once the truth in this context will reveal, that automatically will mean the end of its revolution. This option must be excluded at a glance, I think. It’s quite ridiculous nobody has pointed out the region was the very one which historically affected the world history between East and West in an irreversible manner. It’s the forgotten empire of “Khazaria” that was located there. Without knowing the historical fact the Khazars converted to Judaism from unknown reasons, you never understand the real Jewish history. 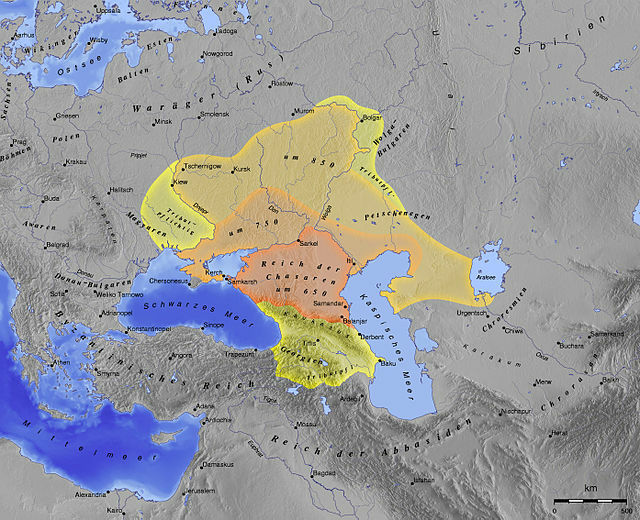 Despite loudly voiced controversy, the Khazars are broadly believed to be ancestors of the Ashkenazi. No one can deny the historical fact the Russians has been suffered from a series of intrigues by groups of the Ashkenazi. Well, please don’t misunderstand I will vote for anti-Semitic polemics, which have been typical in the Russian and western societies. Still, I haven’t been able to find a persuading reason for intervention of former Israeli IDF soldiers in street fights in Ukraine from the beginning. They came from Israel, the country of the Ashkenazi. In sum, I would say we should gradually leave the conventional thought of nation state and recall lost legacies between East and West, which the hidden network of descendants of the Khazars, the Ashkenazi, is now trying to realize beyond the borders. It is the adamant ambition of the Ashkenazi that matters in the world community.